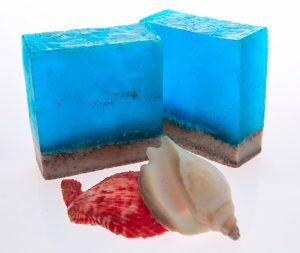 We have 3 Types of Clear Soap Bases! All of our Beauty Care Bases at Essentials By Catalina are made in house. Each one is manufactured by us, so you are getting it straight from the source. Our Clear Soap Bases include Clear, Super Clear, and Ultra Clear. Why have 3 types of clear soaps you say? Well, each of these levels of clarity are fit for different needs. They all generally take color, glitters, and mica well, so feel free to experiment to find out which works best for you. 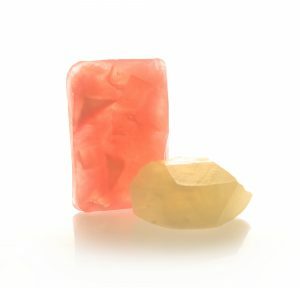 Our clear melt & pour soap is translucent and takes just about any color nicely. I found it great for embedding or just adding simple color. It also works great for soap curls, soap shavings, and showcasing a colored additive like Pumpkin Powder, Charcoal, or Oats. It is the least expensive of the three, so it is great for those looking to stretch a dollar. as party favors. Just make sure the toys are clean and sprayed with alcohol. 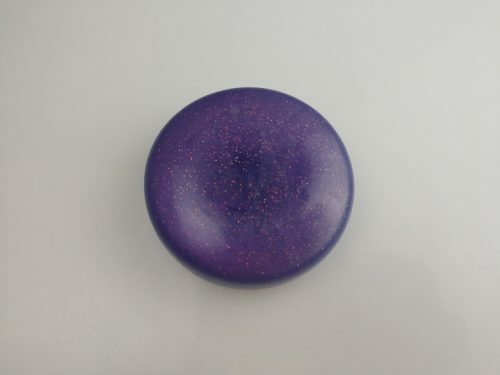 Our Ultra Clear Soap Base is transparent with a slight purple tint. Why purple you ask? Well technically, it is ultra violet in color. The violet color serves a purpose as it enhances blues, purples, and pinks. And this base makes for a versatile base for gem, diamond, and geode soaps. These Soap Bases are incredibly easy to use! We at SoCal Grooming Company use them to create our bar soaps. Everyone loves how great they lather up and leave their skin feeling soft and moisturized, and of course clean!